What should you do when the Internal Revenue Service (IRS) notifies you that you owe additional taxes? The most important thing to know is that you, as the taxpayer, have options on how to handle the situation, as long as you remain in compliance with the procedures set forth by the IRS. For that reason, it is important to contact a tax attorney who can provide options and represent you in front of the IRS. The IRS will issue a Notice of Deficiency to a taxpayer when it determines that a taxpayer has an outstanding balance. The purpose of a Notice of Deficiency is to ensure the taxpayer is formally notified of the IRS's intention to assess a tax deficiency, as well as to inform the taxpayer of the opportunity and right to dispute the proposed adjustments. Once a Notice of Deficiency is issued, the taxpayer generally has 90 days to respond. The taxpayer must either pay the tax or appeal the assessed tax with evidence to demonstrate that the assessment is incorrect. However, taxpayers should read the Notice of Deficiency carefully because it may provide a shorter time frame for the taxpayer to respond (sometimes 30 days). This is important, because taxpayers cannot receive a time extension to file their appeal with the United States Tax Court. Upon receiving a Notice of Deficiency, a taxpayer must first determine if the tax was properly assessed. If the tax liability will not be disputed, the taxpayer should pay the amount immediately because interest accrues during the non-payment period. If the taxpayer desires to dispute the tax liability, a response should be made to the IRS, which provides a written explanation of the disputed tax liability. As an intermediate step, it may be appropriate to obtain an IRS transcript of your tax return on which the error in calculation occurred. This can help confirm that an appeal is the proper course of action. 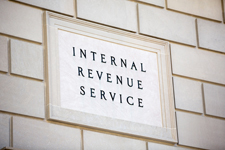 We advise a taxpayer to consult with a tax professional prior to any correspondence with the IRS. What if the tax liability is settled and you cannot pay the tax? Depending on your financial situation, one of two options may be available to you. The first is called an installment agreement, which is negotiated with the IRS and allows the taxpayer to pay the full amount of owed taxes (plus interest) through payments over a set period of time. The installment agreement is for taxpayers who the IRS determines can afford to pay their tax debts in full, but need a longer amount of time to pay the debt in order to remain in compliance with the tax law. A second option is called an offer in compromise. An offer in compromise allows a taxpayer to settle the tax debt for an amount less than the full tax liability. The IRS forces the taxpayer through a rigorous financial analysis to ensure that the taxpayer cannot afford the tax as assessed. For taxpayers flush with income and assets, an offer in compromise may not be likely. On the other hand, taxpayers with little in the way of income and assets or large debts and liabilities may benefit greatly from an offer in compromise. If you believe an installment agreement or an offer in compromise is in your best interest as a taxpayer, please consult one of Foster Swift's experienced tax attorneys. Both options can give you a legally compliant way to ease your tax burden. Additionally, we strongly recommend speaking with a tax professional prior to preparing any response to the IRS.